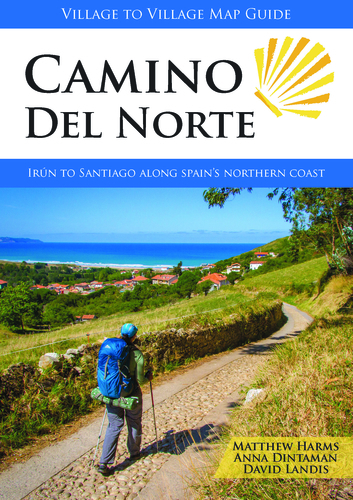 This Village to Village Map Guide to the Camino del Norte is a lightweight minimalist guidebook to walking the Way of Saint James from Irún to Santiago de Compostela on the Camino del Norte. The Camino del Norte traverses the rugged and stunning northern coast of Spain on a well-marked traditional pilgrimage route replete with pilgrim hostels. With 37 full-color stage maps and over 100 city maps, youll always know where you and where youre going. Detailed accommodations listings show everything you need to know about pilgrim hostels (albergues) as well as private accommodations for each budget. Planning and route tips keep you informed, in a pocket-sized book that weighs just 100 grams.